The museum is housed in the Louvre Palace, originally built as the Louvre castle in the late 12th to 13th century under Philip II. Remnants of the fortress are visible in the basement of the museum. Due to the urban expansion of the city, the fortress eventually lost its defensive function and, in 1546, was converted by Francis I into the main residence of the French Kings. The building was extended many times to form the present Louvre Palace. In 1682, Louis XIV chose the Palace of Versailles for his household, leaving the Louvre primarily as a place to display the royal collection, including, from 1692, a collection of ancient Greek and Roman sculpture. In 1692, the building was occupied by the Académie des Inscriptions et Belles-Lettres and the Académie Royale de Peinture et de Sculpture, which in 1699 held the first of a series of salons. The Académie remained at the Louvre for 100 years. During the French Revolution, the National Assembly decreed that the Louvre should be used as a museum to display the nation's masterpieces. Francis I was King of France from 1515 until his death in 1547. He was the son of Charles, Count of Angoulême, and Louise of Savoy. He succeeded his cousin and father-in-law Louis XII, who died without a son. 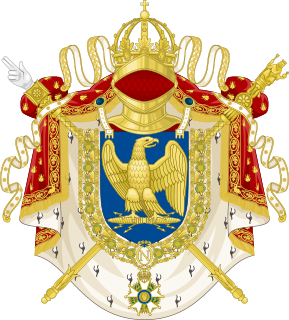 Francis was the ninth king from the House of Valois, the second from the Valois-Orléans branch, and the first from the Valois-Orléans-Angoulême branch. The Louvre Palace, which houses the museum, was begun as a fortress by Philip II in the 12th century to protect the city from English soldiers which were in Normandy. Remnants of this castle are still visible in the crypt. Whether this was the first building on that spot is not known; it is possible that Philip modified an existing tower. According to the authoritative Grand Larousse encyclopédique , the name derives from an association with wolf hunting den (via Latin: lupus, lower Empire: lupara). In the 7th century, St. Fare, an abbess in Meaux, left part of her "Villa called Luvra situated in the region of Paris" to a monastery. ;  this territory probably did not correspond exactly to the modern site, however. The Grand Larousse encyclopédique en dix volumes is a French encyclopedic dictionary published by Larousse between February 1960 and August 1964, with two later supplements that update the content to 1975. Wolf hunting is the practice of hunting gray wolves (Canis lupus) or other species of wolves. Wolves are mainly hunted for sport, for their skins, to protect livestock and in some rare cases, to protect humans. Wolves have been actively hunted since 8,000 to 10,000 years ago, when they first began to pose a threat to livestock vital for the survival of Neolithic human communities. Historically, the hunting of wolves was a huge capital- and manpower-intensive operation. The threat wolves posed to both livestock and people was considered significant enough to warrant the conscription of whole villages under threat of punishment, despite the disruption of economic activities and reduced taxes. The hunting of gray wolves, while originally actively endorsed in many countries, has become a controversial issue in some nations. Opponents see it as cruel, unnecessary and based on misconceptions, while proponents argue that it is vital for the conservation of game herds and as pest control. Charles François Paul Le Normant de Tournehem (1684–1751) was a French financier, a fermier-général, or tax-farmer. Several churches and palaces, including Saint Mark's Basilica, were looted by the French, which outraged the Italians and their artistic and cultural sensibilities. In 1797, the Treaty of Tolentino was signed by Napoleon, and two statues, the Nile and Tiber, were taken to Paris. These statues had previously been in the Vatican, and both were housed in the Louvre until 1815. After the defeat of Napoleon, the Nile was returned to Italy. However, the Tiber remained in the Louvre Museum and can be seen in the collections today. After the French defeat at Waterloo, the works' former owners sought their return. The Louvre's administrators were loath to comply and hid many works in their private collections. In response, foreign states sent emissaries to London to seek help, and many pieces were returned, even some that had been restored by the Louvre. 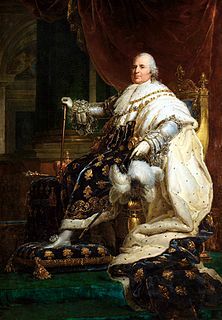 In 1815 Louis XVIII finally concluded agreements with the Austrian government   for the keeping of pieces such as Veronese's Wedding at Cana which was exchanged for a large Le Brun or the repurchase of the Albani collection. The Louvre is involved in controversies that surround cultural property seized under Napoleon I, as well as during World War II by the Nazis. 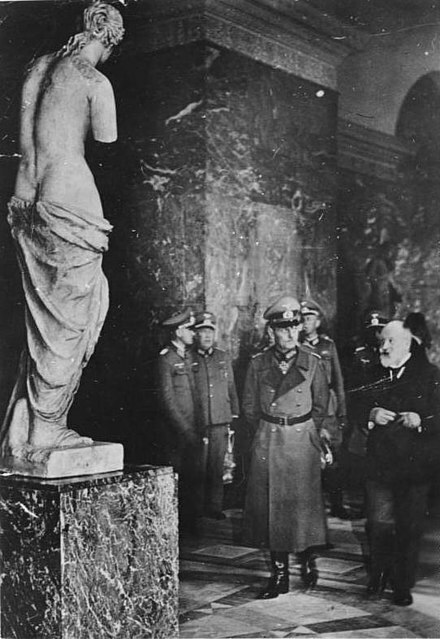 During Nazi occupation, thousands of artworks were stolen. But after the war, 61,233 articles of more than 150,000 seized artworks returned to France and were assigned to the Louvre's Office des Biens Privés. 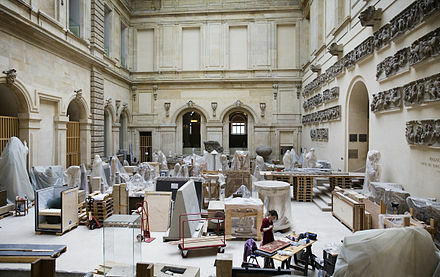 In 1949, it entrusted 2,130 unclaimed pieces (including 1,001 paintings) to the Direction des Musées de France in order to keep them under appropriate conditions of conservation until their restitution and meanwhile classified them as MNRs (Musées Nationaux Recuperation or, in English, the National Museums of Recovered Artwork). Some 10% to 35% of the pieces are believed to come from Jewish spoliations  and until the identification of their rightful owners, which declined at the end of the 1960s, they are registered indefinitely on separate inventories from the museum's collections. 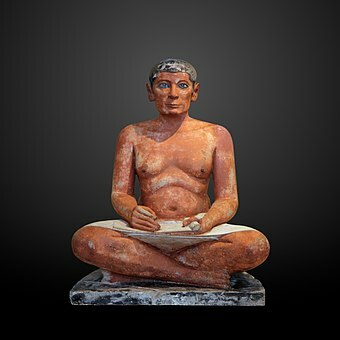 They were exhibited in 1946 and shown all together to the public during four years (1950–1954) in order to allow rightful claimants to identify their properties, then stored or displayed, according to their interest, in several French museums including the Louvre. From 1951 to 1965, about 37 pieces were restituted. Since November 1996, the partly illustrated catalogue of 1947–1949 has been accessible online and completed. In 1997, Prime Minister Alain Juppé initiated the Mattéoli Commission, headed by Jean Mattéoli, to investigate the matter and according to the government, the Louvre is in charge of 678 pieces of artwork still unclaimed by their rightful owners. During the late 1990s, the comparison of the American war archives, which had not been done before, with the French and German ones as well as two court cases which finally settled some of the heirs' rights (Gentili di Giuseppe and Rosenberg families) allowed more accurate investigations. Since 1996, the restitutions, according sometimes to less formal criteria, concerned 47 more pieces (26 paintings, with 6 from the Louvre including a then displayed Tiepolo), until the last claims of French owners and their heirs ended again in 2006. The archaic is demonstrated by jewellery and pieces such as the limestone Lady of Auxerre , from 640 BC; and the cylindrical Hera of Samos, circa 570–560 BC. After the 4th century BC, focus on the human form increased, exemplified by the Borghese Gladiator . 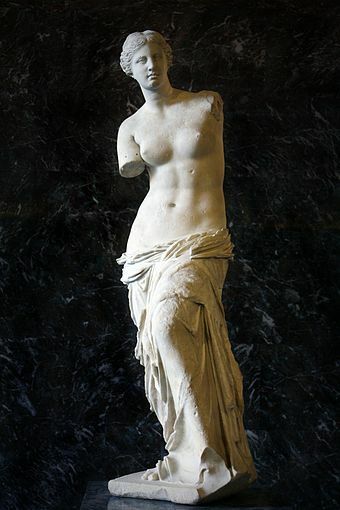 The Louvre holds masterpieces from the Hellenistic era, including The Winged Victory of Samothrace (190 BC) and the Venus de Milo, symbolic of classical art. The long Galerie Campana displays an outstanding collection of more than one thousand Greek potteries. In the galleries paralleling the Seine, much of the museum's Roman sculpture is displayed. The Roman portraiture is representative of that genre; examples include the portraits of Agrippa and Annius Verus; among the bronzes is the Greek Apollo of Piombino . The collection's overview of French sculpture contains Romanesque works such as the 11th-century Daniel in the Lions' Den and the 12th-century Virgin of Auvergne. In the 16th century, Renaissance influence caused French sculpture to become more restrained, as seen in Jean Goujon's bas-reliefs, and Germain Pilon's Descent from the Cross and Resurrection of Christ. The 17th and 18th centuries are represented by Gian Lorenzo Bernini's 1640–1 Bust of Cardinal Richelieu, Étienne Maurice Falconet's Woman Bathing and Amour menaçant, and François Anguier's obelisks. Neoclassical works includes Antonio Canova's Psyche Revived by Cupid's Kiss (1787). The 18th and 19th centuries are represented by the French sculptor Alfred Barye. Northern European works include Johannes Vermeer's The Lacemaker and The Astronomer ; Caspar David Friedrich's The Tree of Crows ; Rembrandt's The Supper at Emmaus, Bathsheba at Her Bath , and The Slaughtered Ox. The museum lies in the center of Paris on the Right Bank, in the 1st arrondissement. It was home to the former Tuileries Palace, which closed off the western end of the Louvre entrance courtyard, but was heavily damaged by fire during the Paris Commune of 1871 and later demolished. The adjacent Tuileries Gardens, created in 1564 by Catherine de' Medici, was designed in 1664 by André Le Nôtre. The gardens house the Galerie nationale du Jeu de Paume, a contemporary art exhibition space which was used to store confiscated Jewish cultural property during the 1940 to 1944 German occupation of France. Parallel to the Jeu de Paume is the Orangerie, home to the famous Water Lilies paintings by Claude Monet. 1 2 "10,2 millions de visiteurs au Louvre en 2018". Louvre.fr (in French). 2019-01-03. Retrieved 2019-01-03. ↑ The New Oxford American Dictionary gives the respelling "/'loov(rə)/", which has been converted to its IPA equivalent. The portion within parentheses indicates a variant pronunciation. ↑ "The “Pyramid” Project (2014-2016)", press release of the Musée du Louvre, 18 September 2014, p. 29. Archive copy. ↑ In Larousse Nouveau Dictionnaire étymologique et historique, Librairie Larousse, Paris, 1971, p. 430: ***loup 1080, Roland (leu, forme conservée dans à la queue leu leu, Saint Leu, etc. ); du lat. lupus; loup est refait sur le fém. louve, où le *v* a empêché le passage du *ou* à *eu* (cf. Louvre, du lat. pop. lupara)*** the etymology of the word louvre is from lupara, feminine (pop. Latin) form of lupus. ↑ In Lebeuf (Abbé), Fernand Bournon, Histoire de la ville et de tout le diocèse de Paris par l'abbé Lebeuf, Vol. 2, Paris: Féchoz et Letouzey, 1883, p. 296: "Louvre". 1 2 Chaundy, Bob (29 September 2006). "Faces of the Week". BBC. Retrieved 5 October 2007. ↑ "Jean Philippe Boulle, Son of André-Charles Boulle". V&A. ↑ "Death of André-Charles Boulle". Mercure de France. ↑ "The French cabinetmaker who is generally considered to be the preeminent artist in the field of marquetry, even "the most remarkable of all French cabinetmakers."". Google Arts and Culture. ↑ "Masters of marquetry in the 17th century: Boulle". Khanacademy. ↑ "André-Charles Boulle - Inlay". Pinterest. ↑ Theodore Dell, The Frick Collection, V: Furniture in the Frick Collection (1992:187). ↑ Monaghan, Sean M.; Rodgers, Michael (2000). "French Sculpture 1800–1825, Canova". 19th Century Paris Project. School of Art and Design, San Jose State University. Archived from the original on 20 April 2008. Retrieved 24 April 2008. ↑ Swetnam-Burland, Molly (2009). "Egypt Embodied: The Vatican Nile". American Journal of Archaeology: 440. JSTOR 20627596. ↑ Mignot, p. 69. According to Mignot, Mantegna's Calvary, Veronese's The Wedding at Cana|The Marriage of Cana, and Rogier van der Weyden's Annunciation were not returned. ↑ "Paolo Veronese". The Gentleman's Magazine. No. December 1867. A. Dodd and A. Smith. p. 741. ↑ Johns, Christopher M. S. (1998). Antonio Canova and the Politics of Patronage in Revolutionary and Napoleonic Europe. University of California Press. p. 190. ISBN 9780520212015. ↑ Alan Riding, And the Show Went On: Cultural Life in Nazi-Occupied Paris. Alfred A Knopf, New York: 2010. p34. ↑ Matila Simon, "The battle of the Louvre;: The struggle to save French art in World War II". Hawthorn Books, 1971. p. 23. 1 2 "Online Extra: Q&A with the Louvre's Henri Loyrette". Business Week Online. 17 June 2002. Archived from the original on 10 December 2013. Retrieved 26 April 2015. ↑ "Œuvres". Musée du Louvre. Archived from the original on 15 April 2008. Retrieved 27 April 2008. 1 2 3 "New Boss at Louvre's helm". BBC News. 17 June 2002. Retrieved 25 September 2008. 1 2 Gareth Harris (13 September 2012), Islamic art, covered Financial Times . ↑ Carol Vogel (19 September 2012), The Louvre's New Islamic Galleries Bring Riches to Light The New York Times . ↑ Denis Bocquet. "Structural Innovation and the Stakes of Heritage: The Bellini-Ricciotti Louvre Dpt of Islamic Arts". academia.edu. 1 2 "Free entry at Louvre due to angry archaeologists". The Local. 5 February 2015. Retrieved 5 February 2015. 1 2 3 Gumbel, Peter (31 July 2008). "Sacre Bleu! It's the Louvre Inc". Time Magazine. Retrieved 25 September 2008. 1 2 3 4 5 6 Baum, Geraldine (14 May 2006). "Cracking the Louvre's code". Los Angeles Times. Retrieved 25 September 2008. ↑ "Louvre, Organization Chart". Louvre.fr Official Site. Archived from the original on 10 May 2008. Retrieved 24 May 2008. 1 2 Farah Nayeri (20 January 2009), Banks compete to manage Louvre's endowment International Herald Tribune . ↑ Matlack, Carol (28 July 2008). "The Business of Art: Welcome to The Louvre Inc". Der Spiegel Online. Retrieved 25 September 2008. ↑ (in French) Un archéologue prend la direction du Louvre, Le Monde du 3 April 2013. ↑ Scarlet Cheng (15 November 2012), Louvre and Sll Francisco museums sign five-year deal Archived 16 June 2013 at the Wayback Machine The Art Newspaper . 1 2 Gentleman, Amelia (1 December 2004). "Lens puts new angle on the Louvre". The Guardian. London. Retrieved 27 February 2008. ↑ Riding, Alan (6 March 2007). "The Louvre's Art: Priceless. The Louvre's Name: Expensive". The New York Times. Retrieved 24 April 2008. 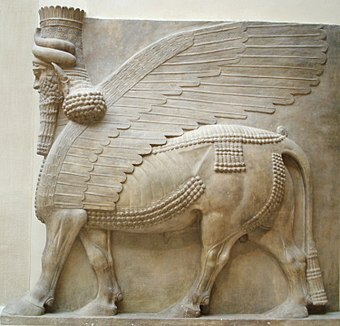 ↑ "Exhibition of Louvre Museum's Items Opens in Tehran". IFP News (Iran Front Page). Retrieved 5 March 2018. 1 2 3 Vincent Noce (13 July 2015), Louvre's superstore to go ahead despite protests Archived 15 July 2015 at the Wayback Machine The Art Newspaper . ↑ Victoria Stapley-Brown (10 November 2014), Designers chosen for Louvre's €60m storage outpost Archived 11 November 2014 at the Wayback Machine The Art Newspaper . ↑ "Rapport Matteoli, Le pillage de l'art en France pendant l'occupation et la situation des 2000 oeuvres confiées aux Musées nationaux, p. 50, 60, 69" (PDF). Retrieved 21 August 2011. ↑ "Le Louvre se dit "satisfait" de la restitution des fresques égyptiennes - Culture - Nouvelobs.com". Tempsreel.nouvelobs.com. Retrieved 21 August 2011. ↑ "The fabulous collections of the Louvre Museum". 1 2 "Egyptian Antiquities". Musée du Louvre. Archived from the original on 11 March 2008. Retrieved 30 April 2008. ↑ "Decorative Arts". Musée du Louvre. Archived from the original on 20 October 2007. Retrieved 20 May 2008. ↑ "Forgotten Empire: The World of Ancient Persia". University of California Press. 2006. Retrieved 12 November 2007. 1 2 3 "Greek, Etruscan, and Roman Antiquities". Musée du Louvre. Archived from the original on 4 November 2007. Retrieved 30 April 2008. 1 2 "Islamic Art". Musée du Louvre. Archived from the original on 9 November 2007. Retrieved 30 April 2008. 1 2 3 "Sculptures". Musée du Louvre. Archived from the original on 7 November 2007. Retrieved 23 April 2008. ↑ "Decorative Arts". Musée du Louvre. Archived from the original on 3 December 2007. Retrieved 30 April 2008. ↑ (in French) Pierre Rosenberg, Dictionnaire amoureux du Louvre, Plon, Paris, 2007, p. 229. ↑ According to Giorgio Vasari, Michelangelo's Leda and the Swan, (now lost) was acquired by Francis I. ↑ "Paintings". Musée du Louvre. Archived from the original on 23 March 2008. Retrieved 23 April 2008. ↑ "French artists in Louvre Museum". Paris Digest. 2018. Retrieved 2018-09-13. ↑ "Galerie de tableaux en très haute définition". c2rmf.fr. ↑ "Prints and Drawings". Musée du Louvre. Archived from the original on 20 December 2008. Retrieved 23 April 2008. ↑ "How to get here". Louvre Museum. Archived from the original on 21 September 2008. Retrieved 28 September 2008. 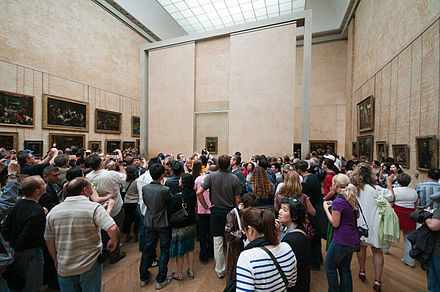 ↑ "'Bad taste' cries as McDonald's moves into 'Mona Lisa' museum". CNN. 7 October 2009. Retrieved 11 May 2010. 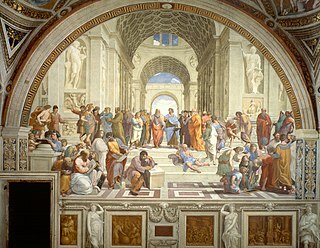 Wikimedia Commons has media related to Louvre . Augustin Pajou was a French sculptor, born in Paris. At eighteen he won the Prix de Rome, and at thirty exhibited his Pluton tenant Cerbère enchaîné. Dominique Vivant, Baron Denon was a French artist, writer, diplomat, author, and archaeologist. He was appointed as the first Director of the Louvre museum by Napoleon after the Egyptian campaign of 1798–1801, and is commemorated in the Denon Wing of the modern museum and in the Dominique-Vivant Denon Research Center. His two-volume Voyage dans la basse et la haute Egypte, 1802, was the foundation of modern Egyptology. André-Charles Boulle, le joailler du meuble, is the most famous French cabinetmaker and the preeminent artist in the field of marquetry, also known as "Inlay". Boulle was "the most remarkable of all French cabinetmakers". He was commended to Louis XIV of France, the "Sun King", by Jean-Baptiste Colbert as being “the most skilled craftsman in his profession”. 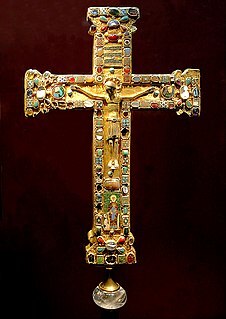 Over the centuries since his death, his name and that of his family has been given to the art he perfected, the inlay of tortoiseshell, brass and pewter into ebony. It is known as Boulle Work and the École Boulle, a college of fine arts and crafts and applied arts in Paris, today bears testimony to his enduring art, the Art of inlay. The Musée national de la Marine is a maritime museum located in the Palais de Chaillot, Trocadéro, in the 16th arrondissement of Paris. It has annexes at Brest, Port-Louis, Rochefort, Toulon and Saint-Tropez. The permanent collection originates in a collection that dates back to Louis XV of France. The Musée du Luxembourg is a museum at 19 rue de Vaugirard in the 6th arrondissement of Paris. Established in 1750, it was initially an art museum located in the east wing of the Luxembourg Palace and in 1818 became the first museum of contemporary art. In 1884 the museum moved into its current building, the former orangery of the Palace. The museum was taken over by the French Ministry of Culture and the French Senate in 2000, when it began to be used for temporary exhibitions, and became part of the Réunion des Musées Nationaux in 2010. The Astronomer is a painting finished in about 1668 by the Dutch painter Johannes Vermeer. 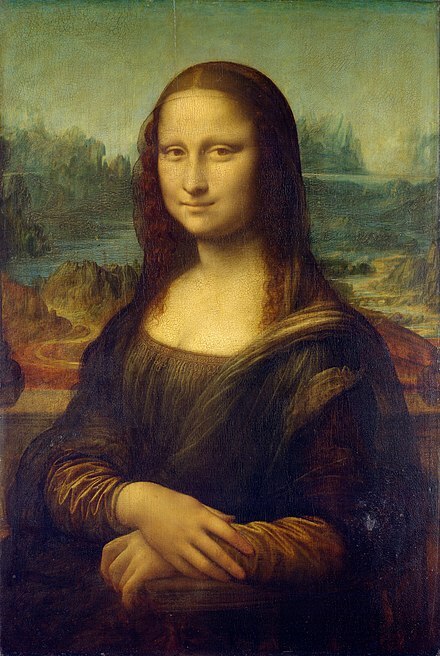 It is oil on canvas, 51 cm × 45 cm, and is on display at the Louvre, in Paris, France. Louis Nicolas Philippe Auguste, comte de Forbin was the French painter and antiquary who succeeded Vivant Denon as curator of the Musée du Louvre and the other museums of France. Nicolas Bernard Lépicié was an 18th-century French painter, the son of two well-known engravers at the time, François-Bernard Lépicié and Renée-Élisabeth Marlié, was introduced to the artistic and cultural environment by his parents. The Musée d’Art et d’Histoire du Judaïsme or mahJ is the largest French museum of Jewish art and history. It is located in the Hôtel de Saint-Aignan in the Marais district in Paris. The Museum of Grenoble is a municipal museum of Fine Arts and antiquities in the city of Grenoble in the Isère region of France. Art in Paris is an article on the art culture and history in Paris, the capital of France. For centuries, Paris has attracted artists from around the world, arriving in the city to educate themselves and to seek inspiration from its artistic resources and galleries. As a result, Paris has received a reputation as the "City of Art". Home to some of the world's most famous museums and galleries, including the Louvre and the Musée d'Orsay, the city today remains home to a thriving community of artists. Paris is recognized globally for its public landmarks and masterpieces of architecture including the Arc de Triomphe and a symbol of France, the Eiffel Tower. Marie Frédéric Eugène de Reiset was a French art collector, art historian and curator. He served as curator of the department of prints and drawings at the Louvre and as director-general of France's Musées Nationaux.